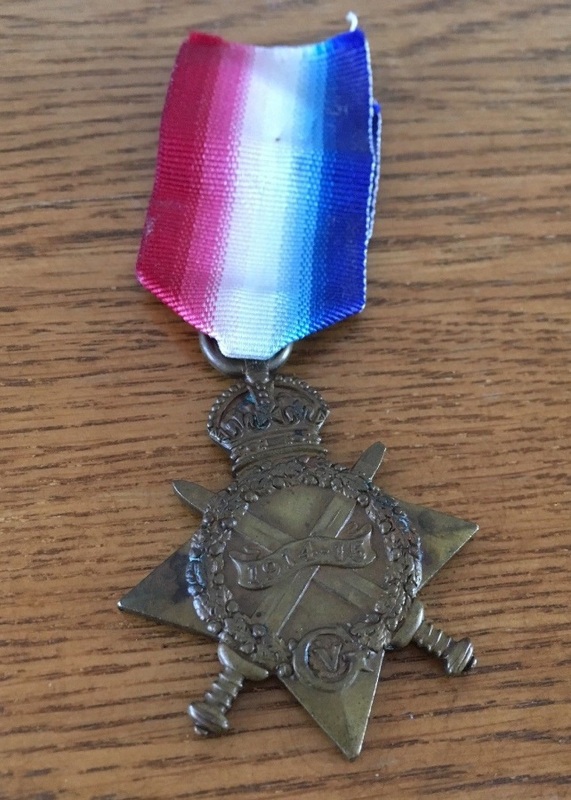 The discovery of this medal on Ebay and its subsequent purchase by local supporters of the town’s Museum unveils some important aspects of World War I. The Star was earned by Private Harold Ernest Rowley, 13793, of 8th (Service) Battalion, Gloucesters who was killed aged 24 during the Battle of the Somme on 3 July 1916. His body was never recovered and his name only is remembered on the Thiepval Memorial. He along with Pte. Leonard Rossell were two of those volunteers who 'stormed the stage' at the famous recruiting rally at the Watson Hall in September 1914. Rowley was ‘one of the first to mount the platform to enlist’. He died along with his friend Pte. Rossell who belatedly joined him on the Town’s War Memorial on 1 July 2018. The 7th Gloucesters were part of the Mesopotamian Expeditionary Force in modern-day Iraq which aimed to relieve the garrison at Kut al Amara to which British units had retreated. However, Kut fell to the Turks in April 1916. The British forces were reinforced and Pte. Rowley was a likely replacement. Another attempt was launched in December but it still took two months to capture Kut. This son lost his life in this venture – but Baghdad was captured in March 1917. He is also on the commemorated on the Post Office Memorial at the Sorting Office, Northway. Herbert’s widow Edith was awarded a War Gratuity of £3 in October 1919. He had already taken part in the Battle of Arras in 1917: ‘he experienced a good deal of hard service abroad where he was wounded and gassed’. Because of his death nearly three years after the war’s end, his name was the last addition to the Abbey Memorial to the Fallen and he is also commemorated in Tewkesbury at the Cross. He was, however, too late for a CWGC headstone. The late death of the youngest son also meant that, although the Rowley family had lost three sons, it was Mrs. Letitia Didcote, who was accorded the honour of inaugurating the War Memorial in May 1922. All the remaining members of the Rowley family seem to have left the town by 1939.